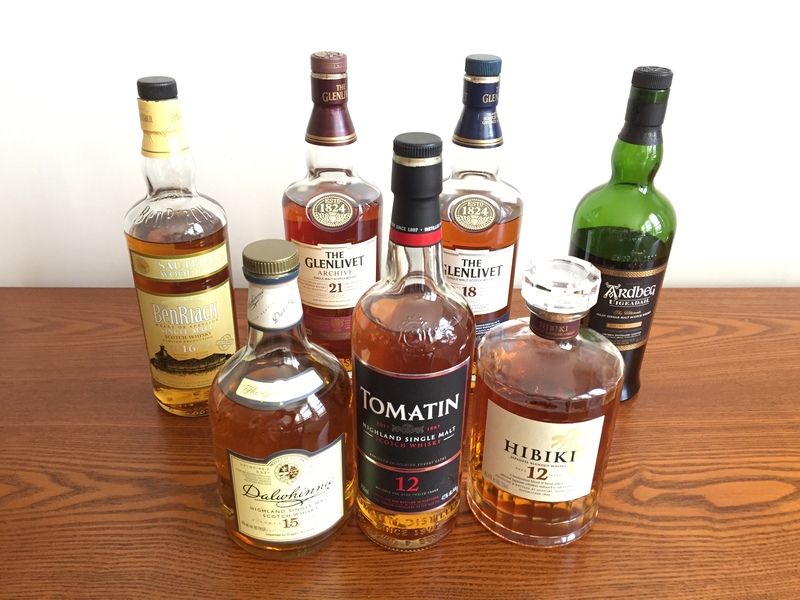 Scotch’s 2014 Christmas Scotch Gift idea list Extravaganza Part II !! Scotch’s 2014 Christmas Scotch Gift idea list Extravaganza! !Hello all and Happy Holidays!!!!! Even though I have a huge new love for lightly peated and smokey scotches, I think I’m sticking to my “Always delicious, Every time is right” type scotches for this list. As Sniff was saying, saving a couple dollars a month quickly equates to a lot of money down the road. So if you’re trying to spring for that dream bottle, cut back on the starbucks or dunkin donuts and save for the green for something nice. …Okay, I will throw a peated smoke bomb in there for the ridiculous few who have throats of steel and cast iron stomachs! On with the list!! I have to echo what Sniff said, as this is an awesome go to and a definite winner. The flavors of banana and bright green apple supplemented with notes of caramel and vanilla ending in light smoke is everything you can dream of in a scotch. Also, the mouth feel of this scotch is wonderful. Syrupy and coating. Very inviting. Japan has been all the rage this year when it comes to whisky and this bottle is a perfect example of the Japanese style, and a blend at that. The floral nose, filled with plums and rose hips match perfectly with the light spice of the Mizunara (Japanese oak). A medium long finish leaves you with melon fruit, light spice and mouth coating honey. This single malt seemed too good to be true and I held off for quite a while before I took the leap to purchase it. Don’t wait. For $25 you get a deliciously complex dram full of spicier nutty notes, juicy pear and granny smith apple tartness. With the addition of water you get an explosion of caramel and vanilla toffee and baking spices. The finish is quite long and drying. For $25 you get a crazy amount of twists and turns in this scotch. And even though it’s the cheapest in our list, it’s definitely a contender in the sub $50 range. This is and has been my favorite single malt scotch since I first took a sip. This is the first one I go to when I feel like drinking a scotch. The nose is full of brown sugar, baking spices, nutmeg and sweet sherry. This has a great bready toasted nose. The palate is full of vanilla rum soaked raisins, a mix of apple skins and more baking spice. A great daily sipper, special occasion drinker, anytime bottle. Let this one sit out for about 30min to an hour and you will be greatly rewarded with apricots soaked in cognac, drizzled with cinnamon icing sugar. And just when you think you’ve had too much sweetness, nutty baking spies and a firm handshake from oak come through and say hello. How are you? Such a gentleman. I told you I’d throw in a peaty smoke bomb. This one is not for the faint of heart…let alone faint of stomach. Brace yourself for a sweet, salty, bbq, smoked and peat filled journey. Try and escape the smokey grips of this dram and you will FAIL. The sea salty, green apple taffy is just bait for the barbecued meats that you will endure along your way. Fight past the tobacco drag~…..If you like how this is going, disregard all other bottles and pick this one up. Enjoy. Unlike Sniff, I will choose one. This is a spicey, sherried and oaky scotch smoothed out by the viscosity, caramel and vanilla flavors. A scotch where the depth and complexity are felt by the weight of it on the tongue and the essence carried by the nose. Around $60 more expensive than the 18 but around $500 less than the 40 bottled by Kirkland, I wish this could be my daily sipper. Delicious and a perfect example of a Scottish Whisky. Next Post The Glenlivet Adventure in DC! !